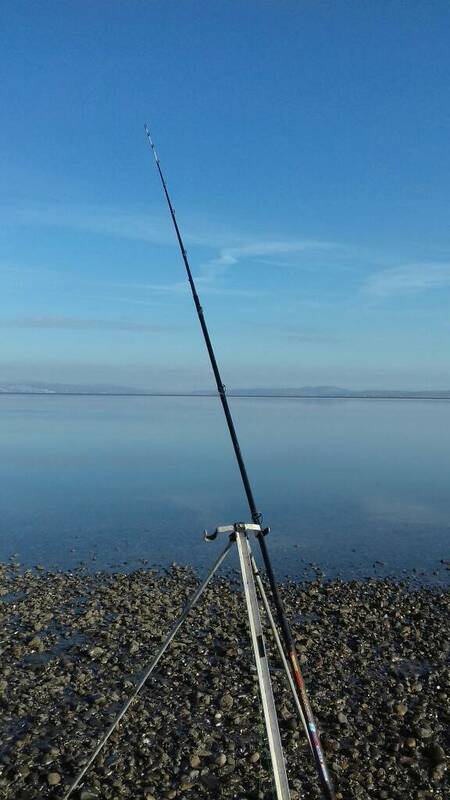 Myself Ste and Andy got on the beds at 8.30am but a few anglers were already fishing so it was tight for space. 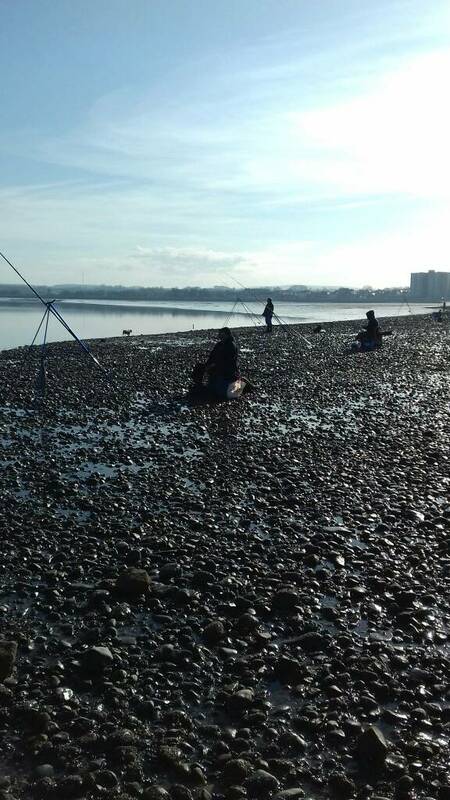 Didn't take long before I had a good plaice but the spot we were in didn't look too good so I squeezed in between to lads on the left end....Ste and Andy soon joined me as as the tide ebbed more anglers headed further left towards the main channel. We were in a decent spot but I'd rather have kept moving to the left but the line of anglers made that a non starter.Ste caught one of the few snags and lost his gear only to find it later with a good flounder attached. 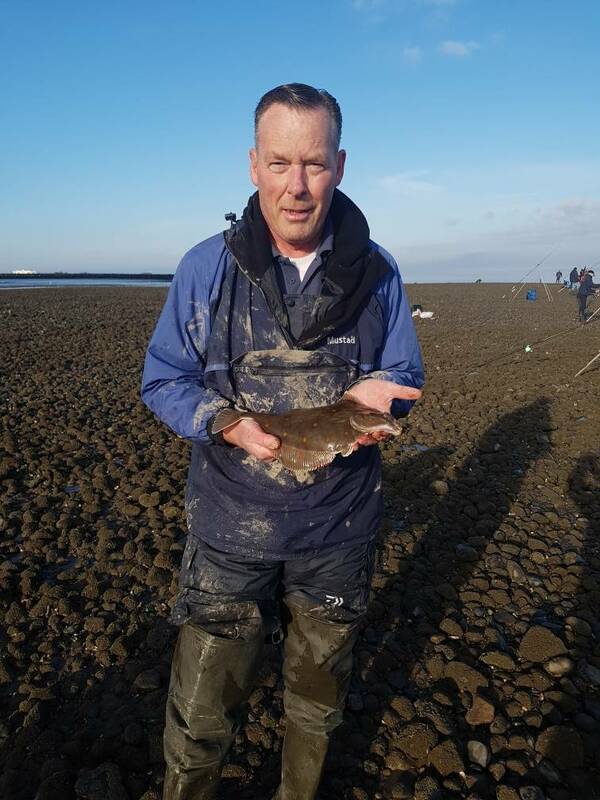 Andy had a plaice of 1-15-0 before I had a flounder on razor.Sport then died as we were just away from the deeper water.A few more fish came out for the other lads but it was still pretty quiet.Crackin morning to be out and nice to meet up with Andy....til the next time. 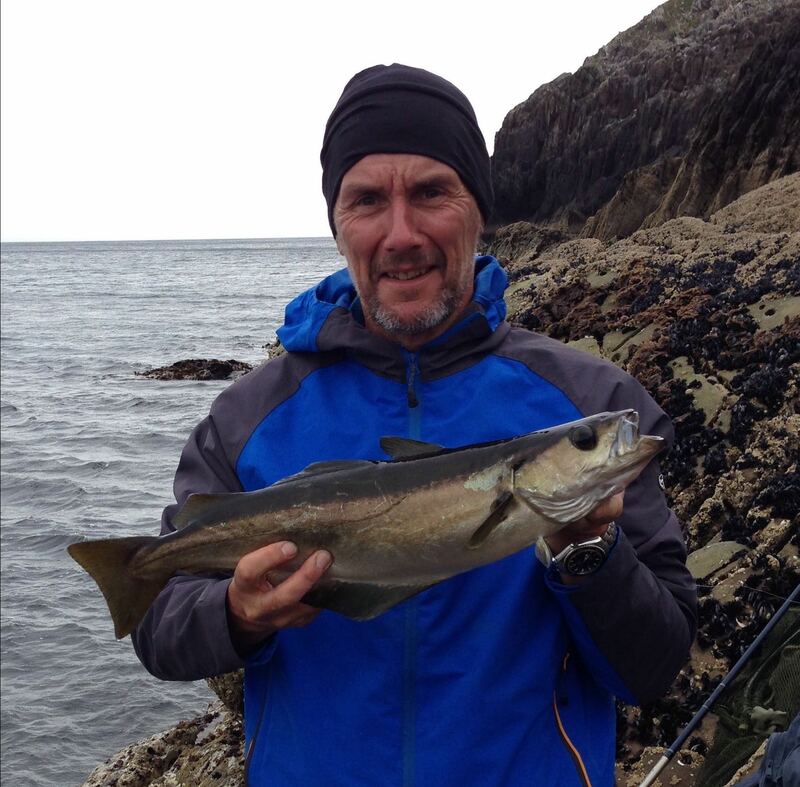 Big Kev wrote: Myself Ste and Andy got on the beds at 8.30am but a few anglers were already fishing so it was tight for space. 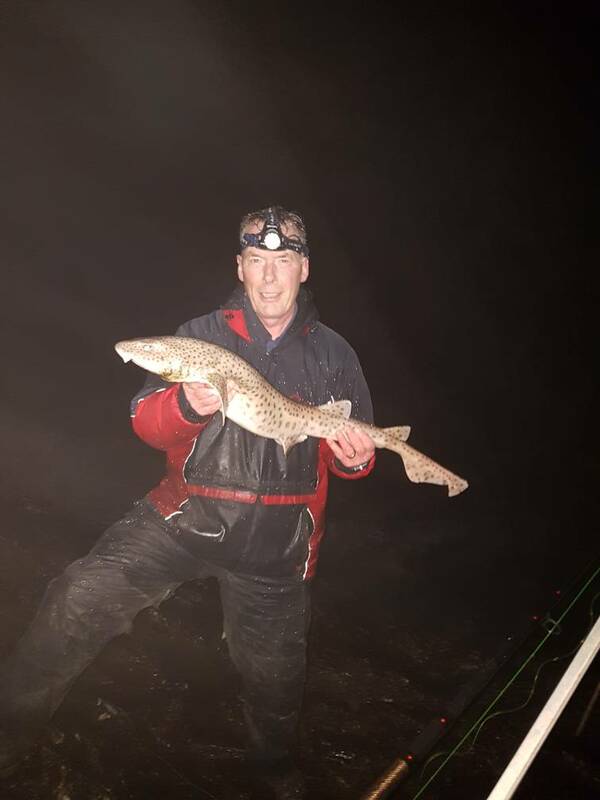 Didn't take long before I had a good plaice but the spot we were in didn't look too good so I squeezed in between to lads on the left end....Ste and Andy soon joined me as as the tide ebbed more anglers headed further left towards the main channel. 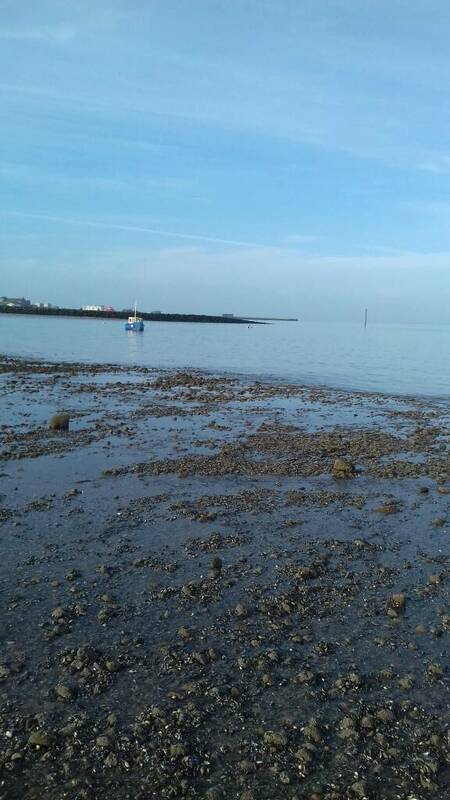 We were in a decent spot but I'd rather have kept moving to the left but the line of anglers made that a non starter.Ste caught one of the few snags and lost his gear only to find it later with a good flounder attached. 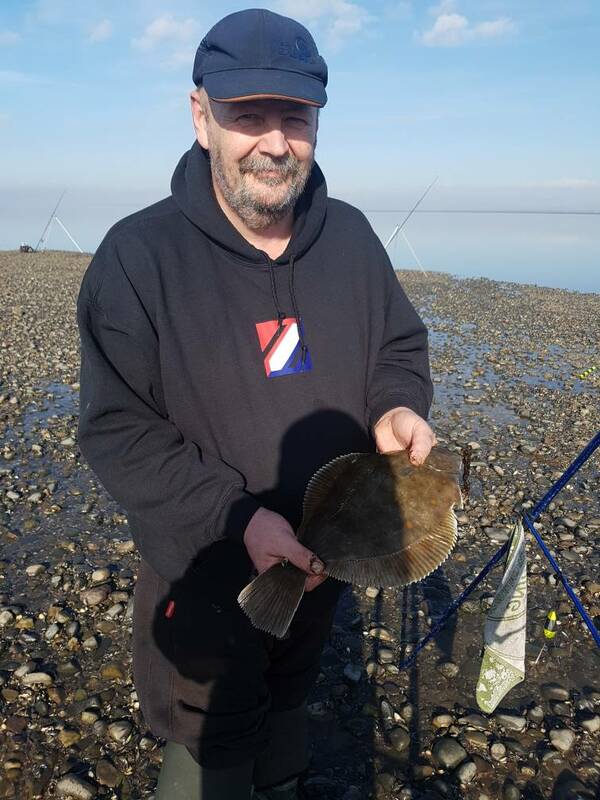 Andy had a plaice of 1-15-0 before I had a flounder on razor.Sport then died as we were just away from the deeper water.A few more fish came out for the other lads but it was still pretty quiet.Crackin morning to be out and nice to meet up with Andy....til the next time. 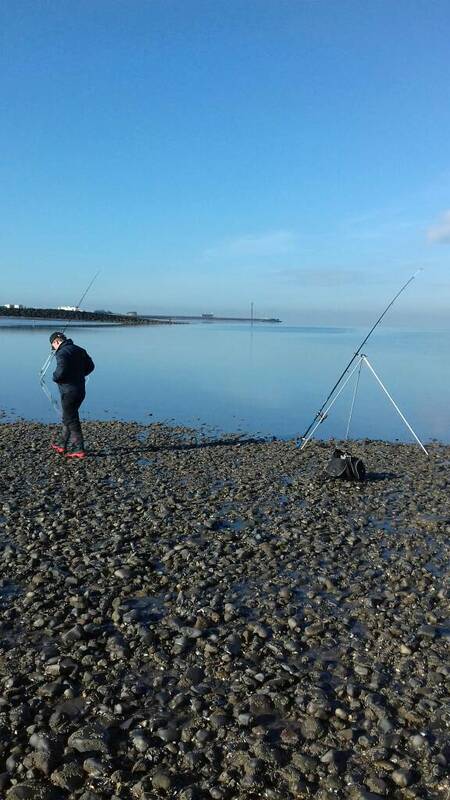 Was a cracking day to wet a line, a new venue for me, some quality plaice made an appearance. and here's Andys. 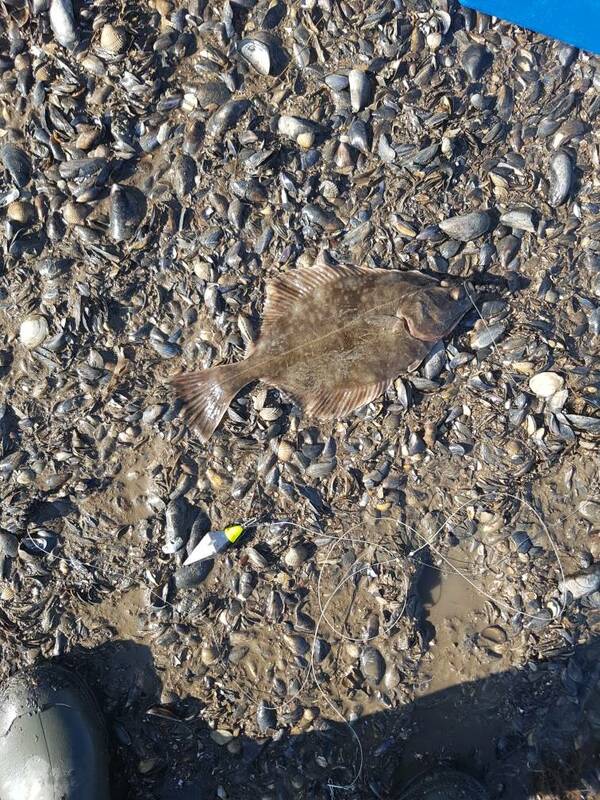 and a flounder for me. Well done fellas. Lovely day to be out. Nice session, going to give it a go myself today.